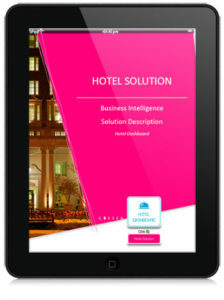 Within the Hotel Business Intelligence Solution, we offer a main module. 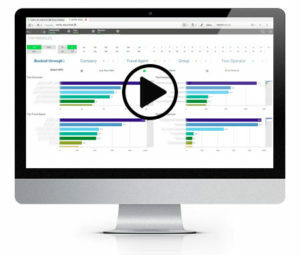 The Hotel Business Intelligence is on its own, a complete analytical solution for the hotel, resort or hotel group (multi-property environments) which provides an added-value for the organisation. It brings together the analysis of the main KPI’s of the hotel business such as hotel reservations, client profiles, property KPI’s, sales analysis, revenue management and other solutions, offering the hotel management a consolidated view of their business. The Hotel Business Intelligence, steps away from the limitations present in other programs within the hospitality market. This solution is a starting point that will allow users to access a large volume of valuable information from their business quickly and easily. The implementation of the Hotel Business Intelligence module can be deployed in only a few weeks, therefore producing an almost immediate return on investment. Additionally, the client has the option to customize this module and adjust it to its business requirements, having the possibility to develop specific indicators, reports, graphs or charts on demand. All of this without being limited to a single hotel management program but crossing information from other data sources, either through the hotel business intelligence module or any other module available in the Hotel Dashboard Suite. Click on image to see Hotel Solution video presentation. Click on above image to download Hotel Business Intelligence brochure (PDF).